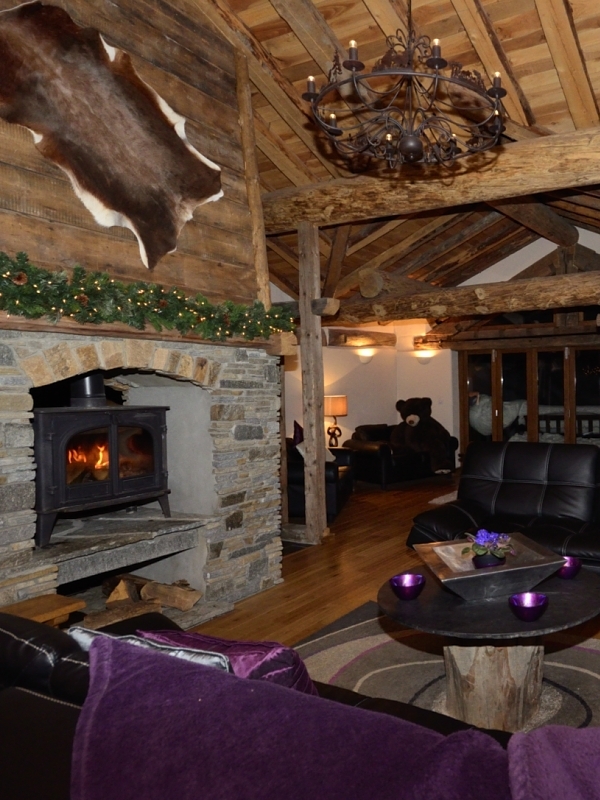 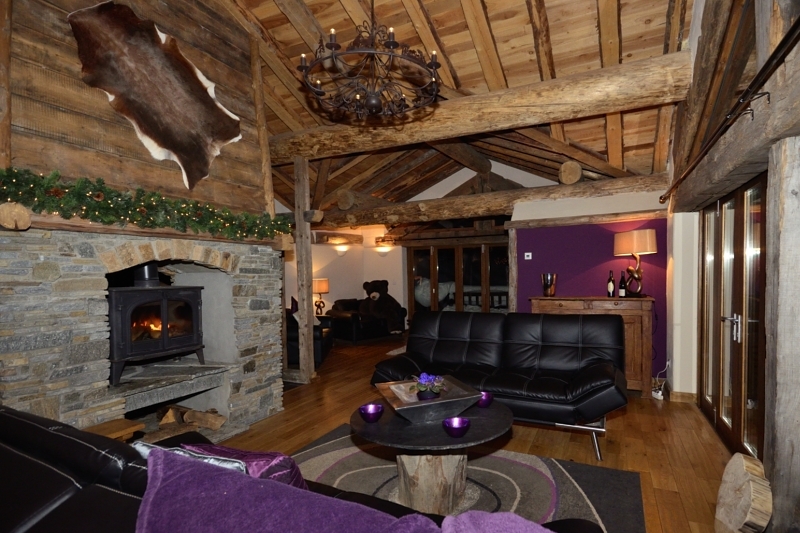 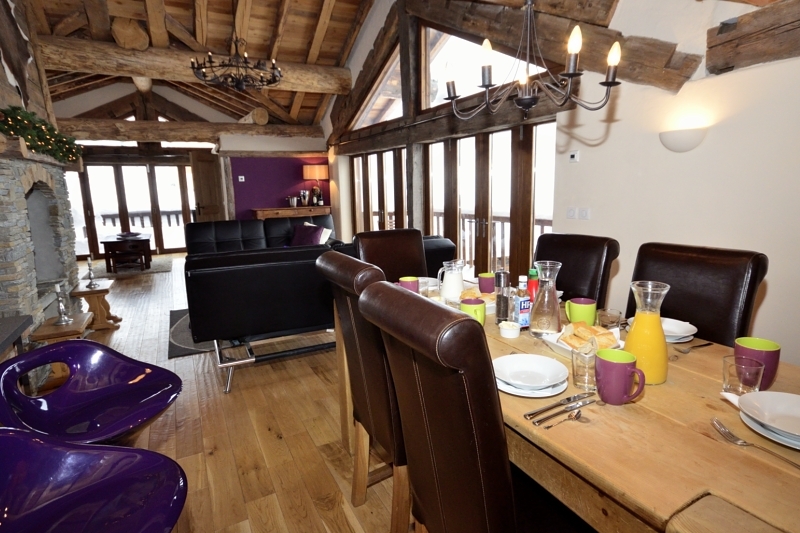 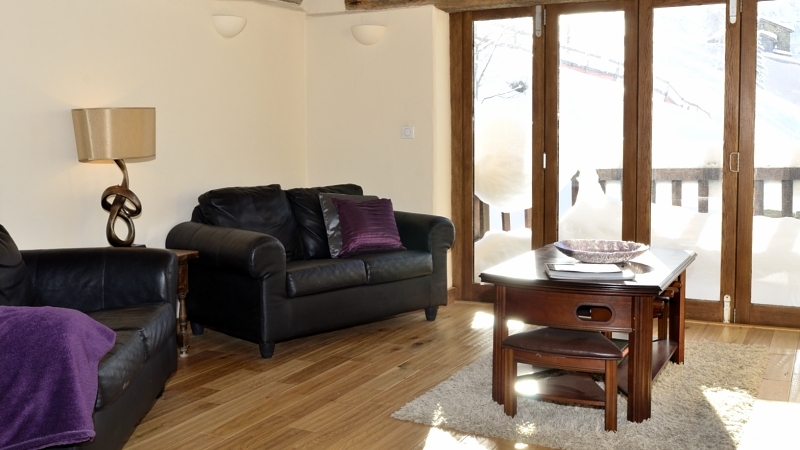 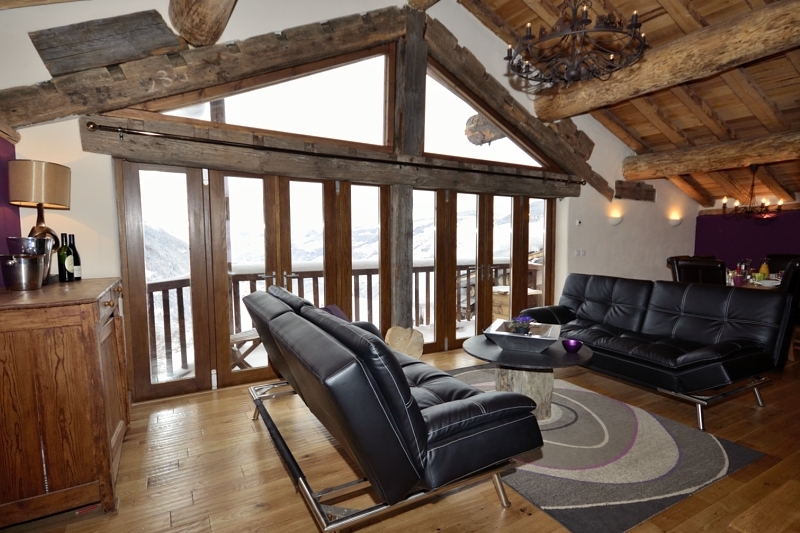 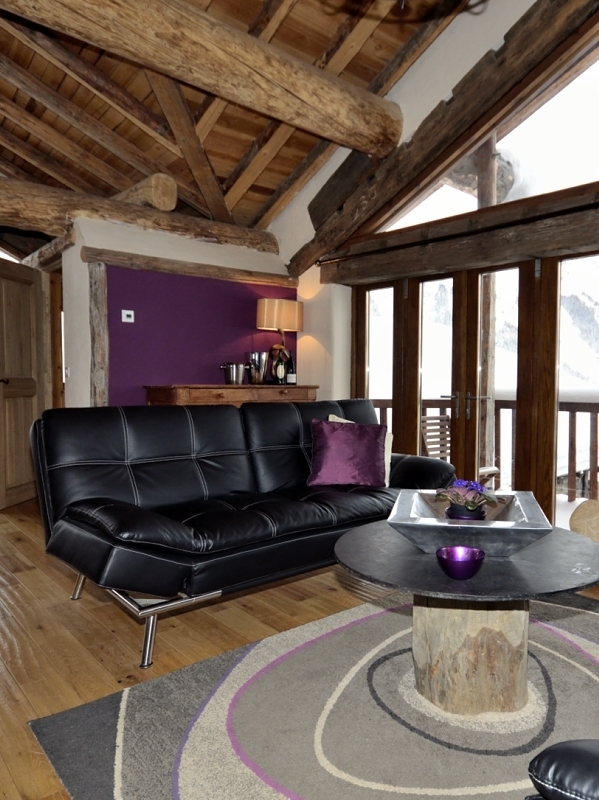 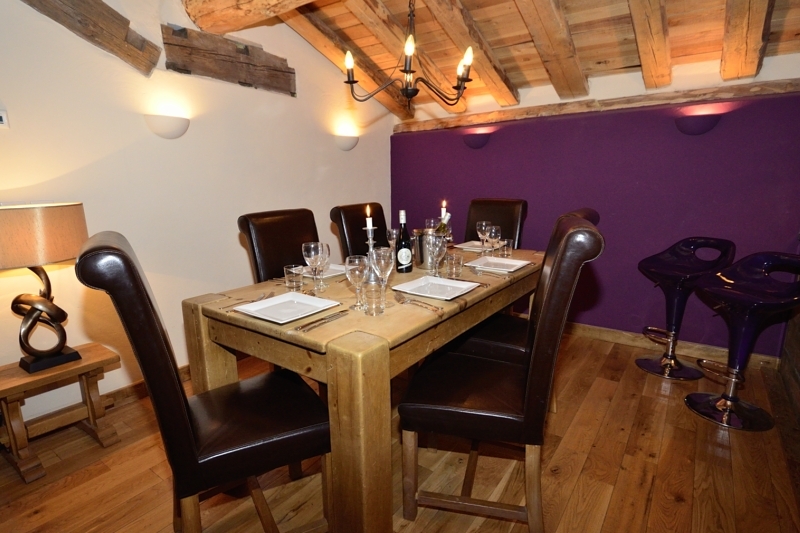 Chalet Chene comprises a 4-bedroom spacious and well appointed chalet with a contemporary open plan kitchen, dining and living area on the upper floor including a large walk-around fireplace. 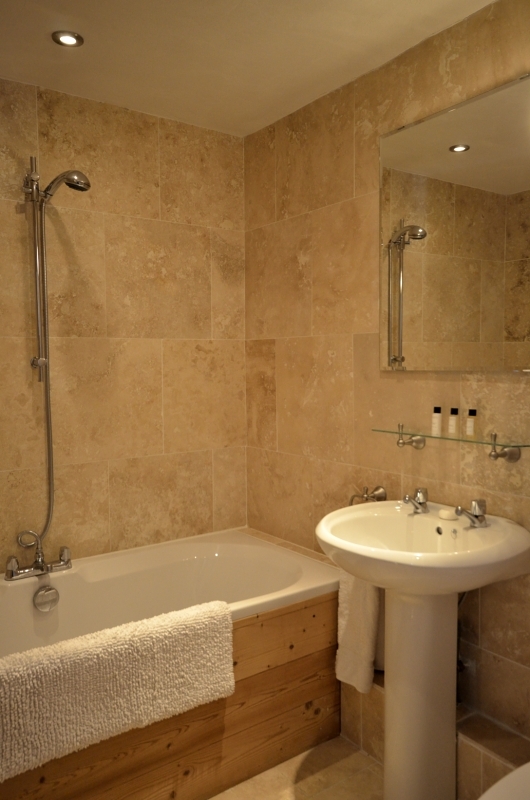 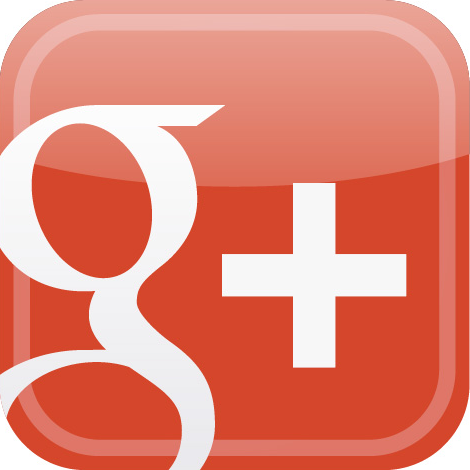 Two of the four bedrooms are double sized, en-suite with enough space to include a cot if needed. 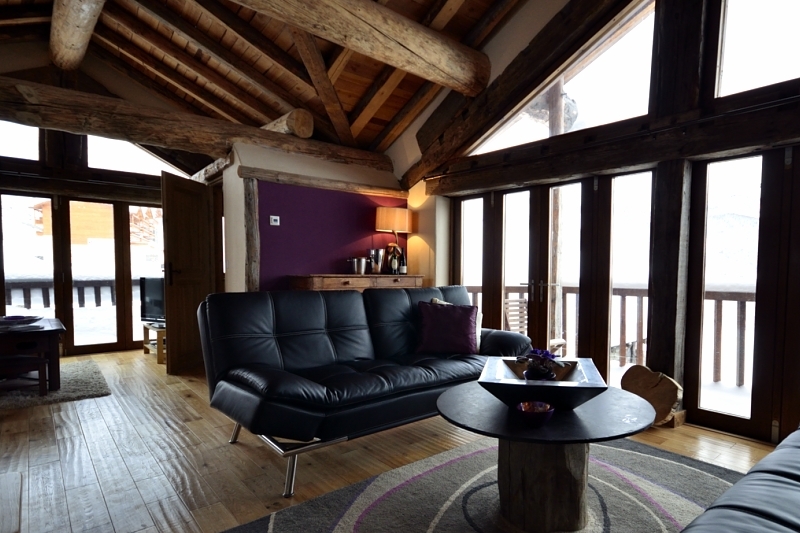 Through the panoramic lounge windows there are beautiful views across the Isere Valley towards Les Arc. 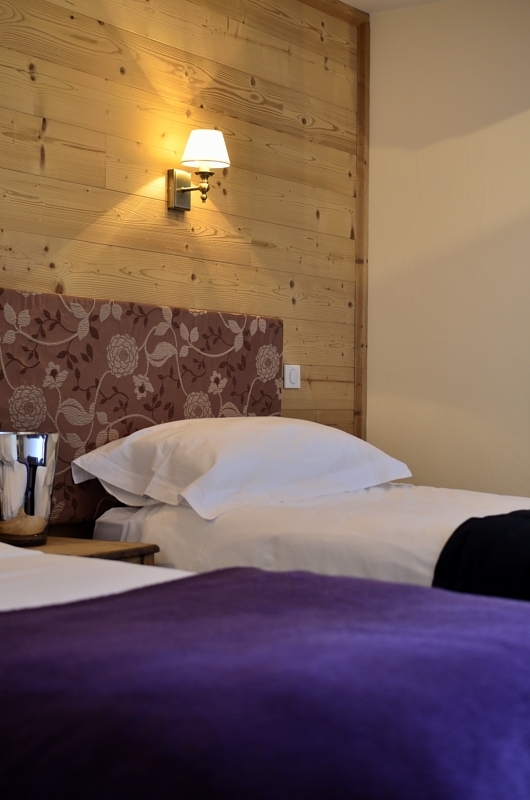 Room 1: King-sized double bed format (can be two singles) with space for cot if required; walk-in wet room-style shower, WC en-suite; Unspoilt views across the valley (overall area 13m²). 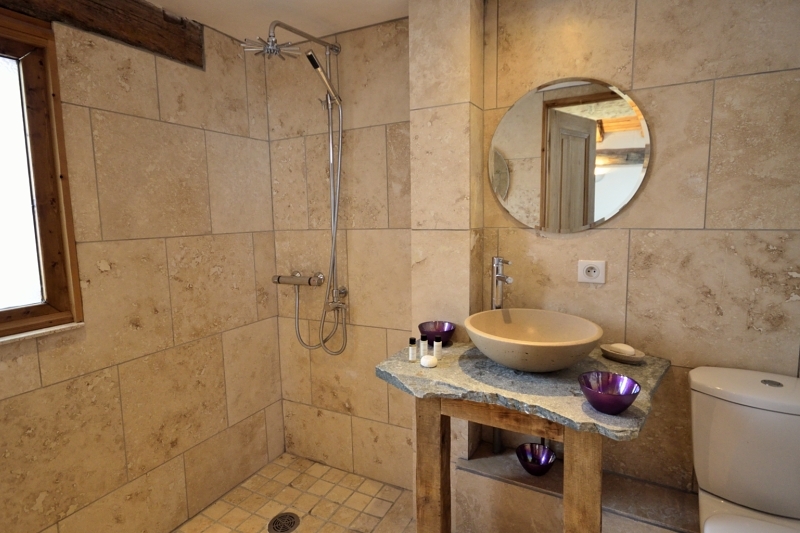 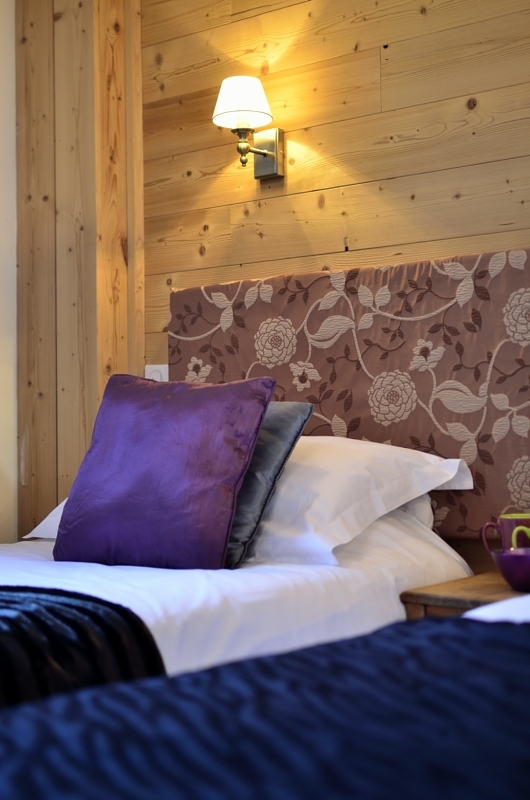 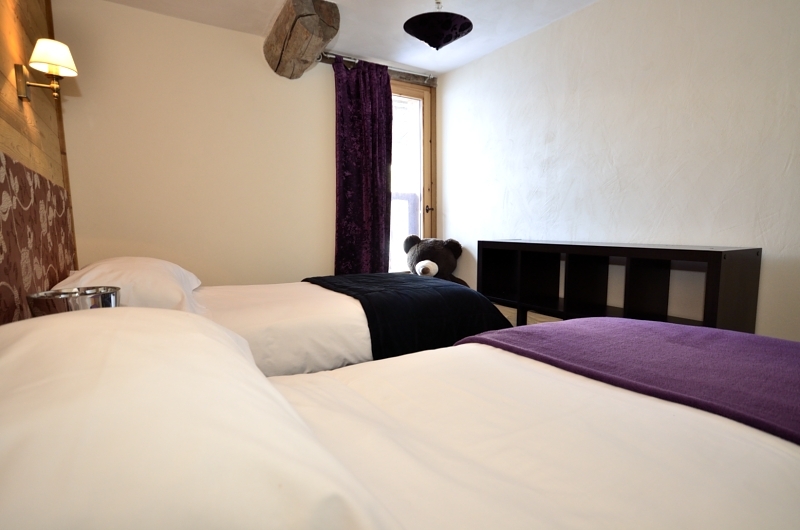 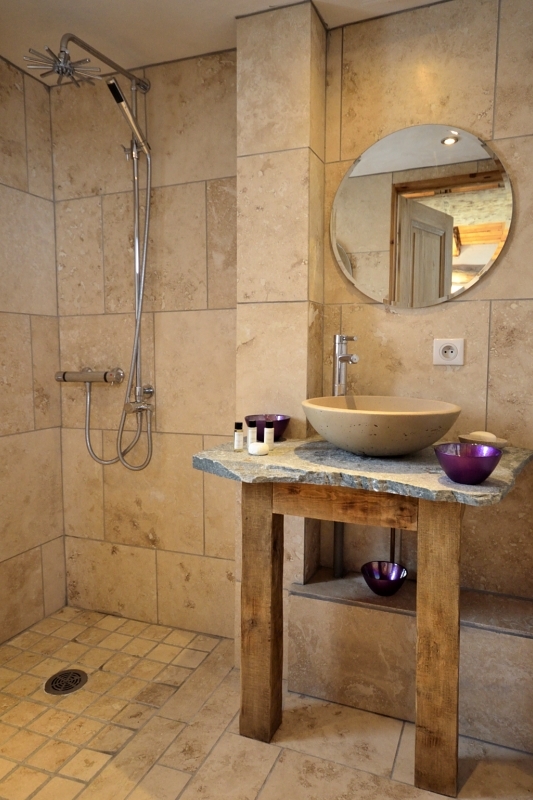 Room 2: King-sized double bed format (can be two singles) with space for cot if required; walk-in wet room-style shower, WC en-suite; Views across the valley and piste (overall area 13m²). 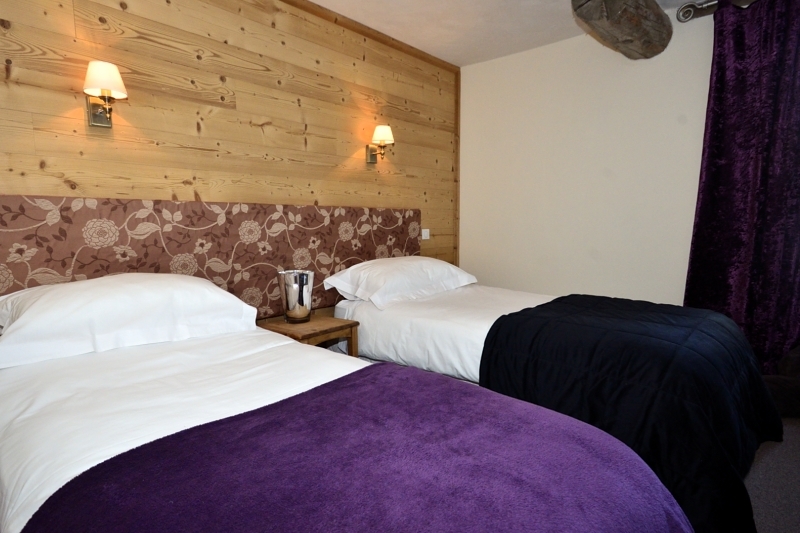 Room 3: Twin bed format (can be double) access to bathroom with bath & WC next to bedroom (overall area 10m²). 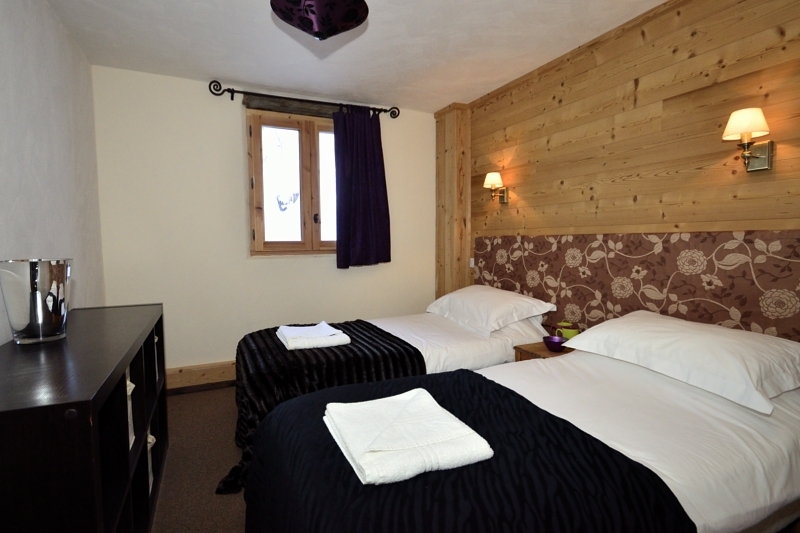 Room 4: Twin bed format (can be double) access to bathroom with bath & WC across the corridor; North facing views across the piste (overall area 10m²).